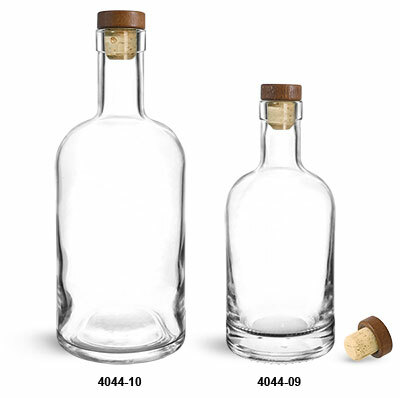 Clear glass bar top bottles with stained wood bar tops and natural corks nicely showcase products while also extending their shelf life. Wood bar tops with natural corks create a snug fit which reduces oxidation and helps to maintain product freshness. 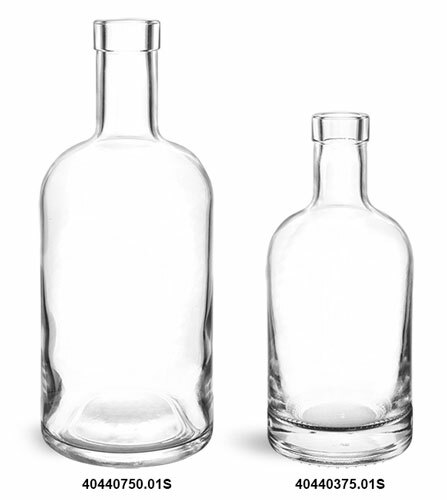 The high clarity of the glass bar top bottles helps products such as whiskey, rum, and other liquors display vibrantly on store shelves.